I am very honored and happy to begin my residency this fall at Sheboygan North High School. 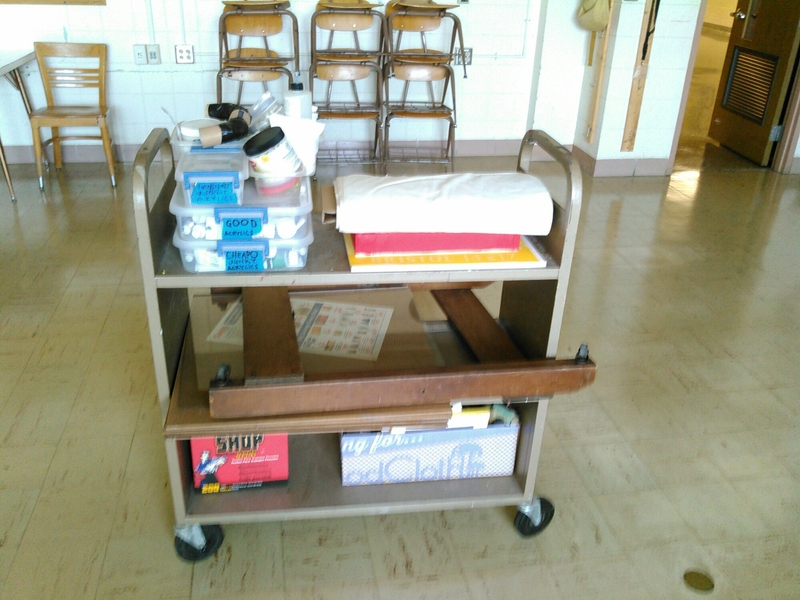 Yesterday I was able to move the majority of my supplies and equipment into the generous classroom space. All my things from my crowded apartment looking tiny in this large space! Very nice to have this cabinet in the room. 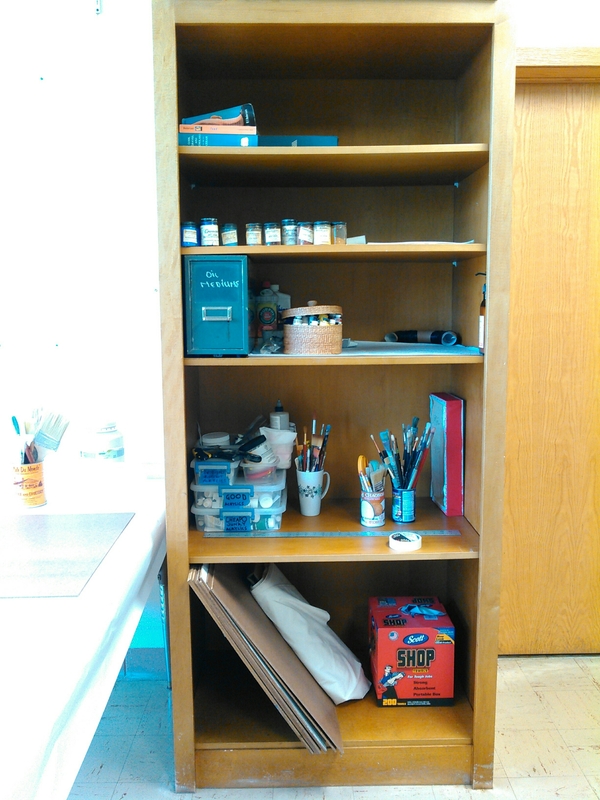 I am planning to use this area for gessoing my panels and papers. 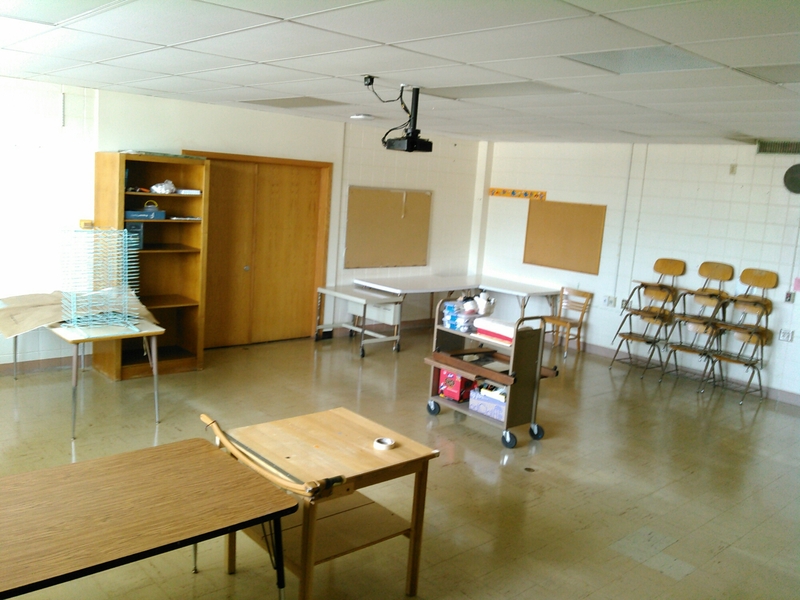 I plan to set my easel up in the center of the room. This is where I will drink my coffee and organize my thoughts in the morning. I can see the entrance, my gesso area, and my easel area from this corner of the room so it is the perfect spot for reflection and planning. 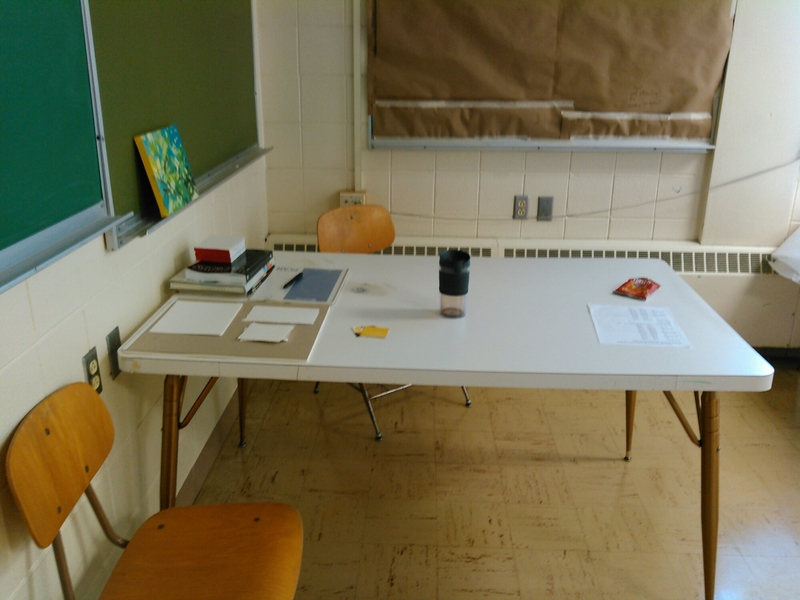 The Resident Artist is given a classroom as their own studio workspace for the duration of one semester. 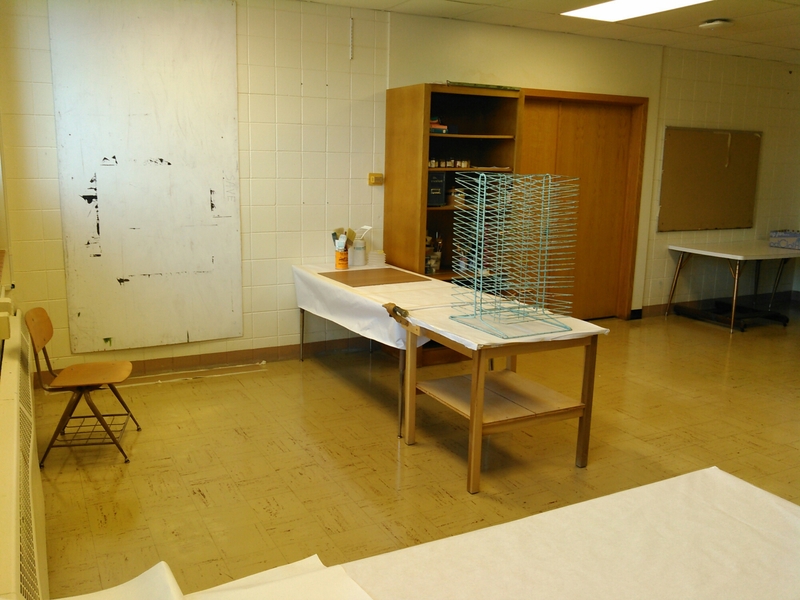 During that time, the artist is able to do their own work in the studio as well as be a valuable resource for faculty and curriculum outside of the visual arts. This is a way of integrating the visiting artist’s practices and experience into the community of students of non-art academia, and tying those principals of art-making into every day scenarios. You can visit this link to learn more about the program, and to learn more about the past resident artists’ roles experiences in this fantastic program.